Straying from his usual routine, Mister Rogers does not enter his television house as he opens the show. Instead, he sings a shortened and slightly modified version of Won't You Be My Neighbor and sits on his porch swing as he introduces "Windstorm in Bubbleland." The opera opens with Robert Redgate, a newsman played by Reardon, who shares the good news that there is never any trouble in Bubbleland. He goes on to share the very good news that the National Bubble Chemical Company has created Spray Sweater -- "the ultimate protection for your precious bubbles." Lady Aberlin, playing the part of the manager of Betty's Better Sweater Company, quickly blows the whistle on Spray Sweater as she reveals that it is nothing but plain air inside the can. Friendly Frank the porpoise, played by Francois Clemmons, provides an ideal weather report for Bubbleland; however, Hildegarde Hummingbird, played by Lady Elaine Fairchilde, has a different idea as she predicts a far-from-perfect forecast. She predicts an upcoming windstorm for Bubbleland which frightens the others. Instructed to never mention the term "windstorm" again, Hildegarde Hummingbird leaves Bubbleland. A boat captain, played by Chef Brockett, and a bubble vendor, played by Miss Paulificate, both begin to notice something different about the air in Bubbleland. While Friendly Frank checks out the waves in the sea, Robert Redgate and Betty the sweater-maker visit the National Bubble Chemical Company and meet with the company's head, W.I. Norton Donovan, played by Handyman Negri. Betty declares that Mr. Donovan's Spray Sweater is a fraud which is causing additional wind in Bubbleland. As Betty and Robert leave to report the news on television, Mr. Donovan reveals his true self -- The Wind. Robert Redgate warns the citizens of Bubbleland not to push the button on cans of Spray Sweater. Unfortunately, many have already let the air out of their cans and added to the wind. Regretting their decision to send Hildegarde away, the news team issues an apology and invites her back to Bubbleland. Meanwhile, the boat captain and the bubble vendor's businesses are suffering from the effects of the growing wind. The news team arrives at the boat dock where they all work together to build a wind-blocking wall. Hildegarde returns to Bubbleland as The Wind arrives stronger than ever. Fortunately for Bubbleland, Hildegarde's strong wings are able to overpower The Wind. The Wind is forced to retreat and Bubbleland is saved. Back at the house, Mister Rogers talks about the importance of remembering friends as he wraps up for the week. Opening the episode, Mister Rogers arrives already wearing his sweater and does not go inside. 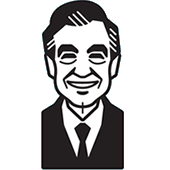 He also makes a slight adjustment to the abbreviated version of Won't You Be My Neighbor. This episode is not closed with a song, as most episodes are. Unlike the other modern episodes, the credits at the end of this episode scroll on the screen rather than appearing in the usual screen-by-screen fashion. Based on the announcement at the beginning of the opera, this opera is produced by "The Royal O Room Opera Company." Hildegarde is a ruby-throated hummingbird. Bubblewitness News broadcasts are brought through the courtesy of the National Bubble Chemical Company. Images of an original prop from this episode were shared by a Neighborhood Archive reader. The Wind Will Be Down By the Ocean / Hildegarde, Save Us / Why Should I Save Them? Flying by Flying Craft Co.
Post Production: TPC Communications, Inc.
Consultants: Albert V. Corrado M.D., Margaret McFarland PhD.